At BCSS we have a wealth of experience designing and installing audio upgrade packages for Land Rover Defenders. Below you will find our starter and advanced audio packages to help improve your existing audio system. 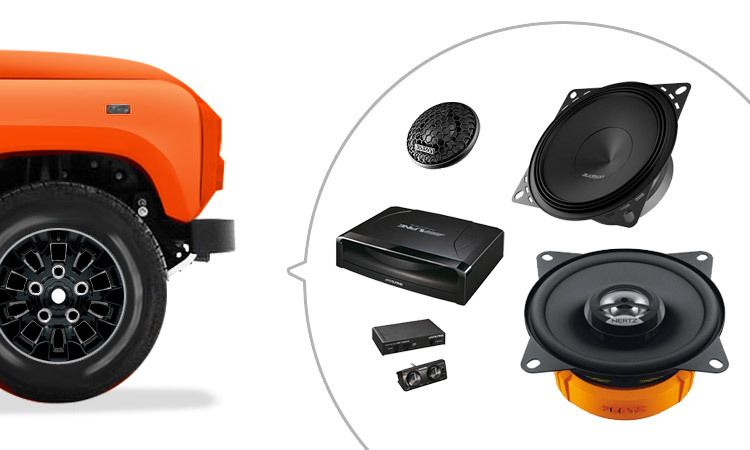 We have put this package together so you can get the most out of your oem stereo without going crazy. 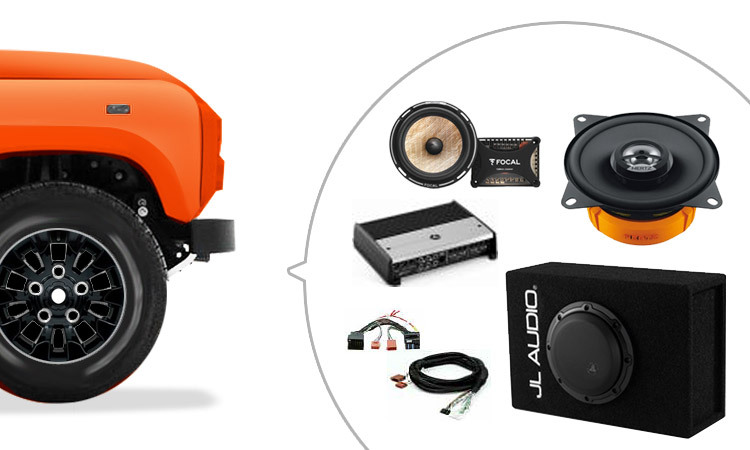 The AUDISON Prima range is the perfect OEM replacement with exclusive Prima technology designed to overcome many of the inherent issues with factory speaker mounting positions, Add a bit of life to your Defender with the ALPINE subwoofer and don’t worry it’s not the typical boom boom sound which most people believe a subwoofer does. This package has been designed to deliver a PREMIUM sound without spending a lot of money. These speakers we have tried and tested and the quality they produce is astonishing. The amp can be placed either under the seat or mounted in the rear of the vehicle. The above audio packages will deliver fantastic results, but if you feel there is something different you would like to do with your Land Rover Defender, please feel free to call us on 020 8645 0655 or pop in to the shop for a chat about your ideas. We will take the time to listen and make a system perfect for you.